Restructure the world's economy to ensure a more stable and shared prosperity. This is not only the worst global economic downturn of the post-World War II era; it is the first serious global downturn of the modern era of globalization. America’s financial markets failed to do what they should have done–manage risk and allocate capital well–and these failures have had a major impact all over the world. Globalization, too, did not work the way it was supposed to. It helped spread the consequences of the failures of US financial markets around the world. September 11, 2001, taught us that with globalization not only do good things travel more easily across borders; bad things do too. September 15, 2008, has reinforced that lesson. A global downturn requires a global response. But so far our responses–to stimulate and regulate the global economy–have largely been framed at the national level and often take insufficient account of the effect on others. The result is that there is less coordination than there should be, as well as a smaller and less well-designed stimulus than is optimal. A poorly designed and insufficient stimulus means that the downturn will last longer, the recovery will be slower and there will be more innocent victims. Among these victims are the many developing countries–including those that have had far better regulatory and macroeconomic policies than the United States and some European countries. In the United States a financial crisis transformed itself into an economic crisis; in many developing countries the economic downturn is creating a financial crisis. The world has two choices: either we move to a better global regulatory system, or we lose some of the important benefits that have resulted from globalization. But continuing the status quo management of globalization is no longer tenable; too many countries have had to pay too high a price. The G-20’s response to the global economic crisis, crafted at meetings in November in Washington and in April in London, was a beginning–but just a beginning. It did not do enough to address the short-term problems nor did it put in place the long-term restructuring necessary to prevent another crisis. A United Nations meeting in late June hopes to continue the global discussion begun at earlier G-20 meetings and to extend this discussion to what went wrong in the first place so that we can do a better job of preventing another crisis. The global politics of this meeting are complex. Many of the 173 countries that are not members of the G-20 argue that decisions affecting the lives of their citizens should not be made by a self-selected club that lacks political legitimacy. Some members of the G-20–including new members brought into the discussion for the first time as the G-8 expanded to the G-20–like things the way they are; they like being in the inner circle and argue that enlarging it will only complicate matters. Many from the advanced industrial countries would like to avoid overly harsh criticism of their banks, which played a pivotal role in the crisis, or of the international economic institutions that not only failed to prevent the crisis but pushed the deregulatory policies that contributed so much to it and its rapid spread around the world. Indeed, the G-20’s response to the crisis in developing countries relied centrally on the IMF. I chair the UN Commission of Experts, which was given the task by the General Assembly of preparing an interim report before the June meeting. This report will, I hope, have some influence on the discussions. It is too soon to tell whether it will, or if anything concrete will come from the meeting. The international community should realize, however, that much more needs to be done than has so far been undertaken by the G-20. Our preliminary report lists ten policies that need to be implemented immediately. These include strong stimulus efforts from developed countries, providing additional funding for developing countries, creating more policy space for developing countries, avoiding protectionism, opening advanced countries’ markets to the least developed countries’ exports and improving coordination of global economic policies. In addition, the commission recommends ten deeper reforms to the global financial system on which work needs to begin. The United States may have the resources to bail out its banks and stimulate its economy, but developing countries do not. Developing countries have been important engines for economic growth in recent years, and it is hard to see a robust global recovery in which they do not play an important role. There is a consensus that all countries should provide strong stimulus packages, but many of the poorer developing countries don’t have the resources to do so. Many in the developed world are worried about the debt burdens resulting from stimulus packages, but for those still scarred by debt crises, taking on additional debt may involve an unacceptable burden. Assistance has to be provided in grants, not just loans. To help fund the large amount of assistance required, developed countries should set aside 1 percent of their stimulus package to help developing countries. The funds have to be distributed through a variety of channels, including regional institutions and possibly a newly created credit facility whose governance better reflects new potential donors (Asian and Middle East countries) and recipients. The G-20 did make significant efforts to expand the IMF’s lending capacity–partly, some suspect, because of the role the IMF may play in rescuing Eastern Europe rather than because of its desire to help the least developed countries. One clever way of doing so was a new issue of IMF money (to the tune of $250 billion) called “special drawing rights,” a positive move, but too little of it will wind up in the hands of the poorest countries. Although the G-20 made grand statements at its November meeting about avoiding protectionism, the World Bank notes that since then seventeen members have undertaken protectionist measures. Developing countries have to be protected from protectionism and its consequences, especially when it discriminates against them. The United States, for example, included a “buy American” provision in its stimulus bill, but many advanced industrial countries are exempt from this provision due to a WTO government procurement agreement. This means that America, in effect, discriminates against poor countries. We know that subsidies distort free and fair trade as much as tariffs, but subsidies are even worse than tariffs, because developing countries can ill afford them. The massive bailouts and guarantees provided by the United States and other wealthy countries give their firms an unfair competitive advantage. It is one thing for firms from poor countries to compete against well-capitalized US firms; it is another to compete against Washington. Such subsidies, bailouts and guarantees are understandable, but the adverse impacts on developing countries must be recognized, and we must find some way of compensating them to offset this unfair advantage. International cooperation is also required if we are to devise an effective regulatory regime. There is international agreement on ten issues. First, the crisis was caused by excesses of deregulation and deficiencies in the enforcement of existing regulations. Second, self-regulation will not suffice. Third, regulation is required because failures in a large financial institution or the financial system more generally can have “externalities,” adverse effects on workers, homeowners, taxpayers and others worldwide. Fourth, more than transparency is required–even full disclosure of the complex derivatives and other financial products might not have allowed for an adequate risk assessment. Fifth, perverse incentives that encouraged excessive risk-taking and shortsighted behavior contributed to bad banking practices. Sixth, deficiencies in corporate governance contributed to flawed incentive structures. Seventh, so too did the fact that many banks had grown “too big to fail”–which meant that if they gambled and won, they walked away with the gains, but if they lost, taxpayers picked up the losses. Eighth, unless regulation is comprehensive there can be a “race to the bottom,” with countries with lax regulation competing to attract financial services. Ninth, if that race happens, countries will have to take action to protect their economies–they cannot allow bad practices elsewhere to harm their citizens. And tenth, regulation has to be comprehensive across financial institutions. As we have seen, if we regulate the banking system but not the shadow banking system, business will migrate to where it is less well regulated and less transparent. Despite this broad consensus, the G-20 said little or nothing about some key issues: what to do with banks that have grown not only too big to fail but (according to the Obama administration) too big to be financially restructured? The G-20 failed to ask the hard questions: if these big banks’ shareholders and bondholders are insulated from the risk of default, how can there be market discipline? What will replace that discipline? The G-20 has talked about the rapid return of “private capital,” but what does this bode if private capital returns without market discipline? There was also talk of continuing to allow over-the-counter derivatives-trading with no transparency. But without transparency of each trade–to assess the nature of the counterparty risk–how can there be market discipline? The G-20 did take long-overdue action on nontransparent offshore banking centers. The large amount of banking in these centers is not a result of these countries’ comparative advantage in providing banking services. It is because they avoid and evade taxes and regulations. But these problems, while important, played little if any role in the current crisis. Why was so much effort spent on these extraneous issues rather than on those more directly related to the crisis? From the perspective of the developing countries, though, not enough was done about bank secrecy in offshore as well as onshore centers. Developing nations are often criticized for corruption, but secret bank accounts wherever they may be facilitate corruption, providing safe haven for stolen funds. Developing countries want this money returned and want access to information that will allow them to detect secret accounts. Financial and capital market liberalization–as well as banking deregulation–contributed to the crisis and to the spread of the crisis from the United States to developing countries. Advanced industrial nations are reluctant to admit that these policies, which they pushed so hard on developing countries, are part of the problem. No wonder, then, that the G-20 did not argue for a reconsideration of these longstanding policies. 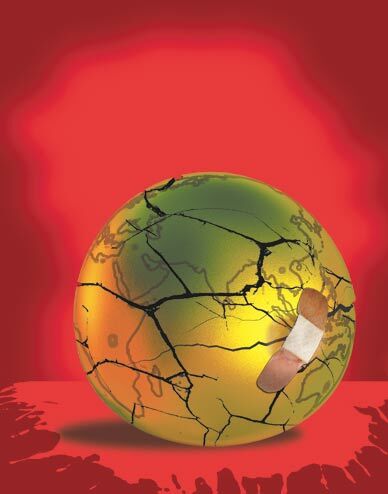 The global economic crisis highlights the deficiencies of existing international institutions. As I noted, the IMF and the Financial Stability Forum–created in the aftermath of the last global financial crisis, in 1997-98–did not prevent the crisis. In some cases they pushed policies that are now recognized as root causes. Although some of the proposals are moves in the right direction, others (such as changing the name of the Financial Stability Forum to the Financial Stability Board) are unlikely to have much effect, and as a package they are unlikely to suffice. If we are to make our global economic system work better, we have to have better systems of global economic governance. It is important to move from ad hoc arrangements to more inclusive and representative institutional frameworks. We need a global economic coordinating council within the UN, not only to coordinate economic policies (e.g., the size of the stimulus and regulatory structures) but also to identify and rectify gaps in the global economic institutional structure. For instance, this crisis will almost surely be marked by some sovereign debt defaults. Despite extensive discussions at the time of Argentina’s 2001 default, there was no progress in creating a sovereign debt-restructuring mechanism. The IMF–dominated by the creditor countries–cannot play a central role in designing such a mechanism (any more than we in the United States should turn to our banks to design a good bankruptcy law). One of the alleged reasons for not “playing by the rules” and forcing troubled international banks to go through financial restructuring (instead, bailing them out) was that it would give rise to huge cross-border complications. Citibank, for example, operates worldwide, and depositors in many countries are not insured. What responsibility do US taxpayers have to depositors abroad if Citibank fails? They didn’t pay deposit insurance; there is no contract committing us to pick up the pieces. Yet some claim it would do irreparable harm to America’s image if we took no responsibility. Iceland’s banking problems illustrate the potential seriousness of these cross-border problems. Its citizens’ standard of living may be impaired for decades because of the bankruptcies of its banks and the Icelandic government’s decision to assume some responsibility for these failures. And yet, again, nothing is being done to address these problems. Most important, the UN commission calls attention to the need for reform in the dollar-based global reserve system; it advocates the creation of a global reserve system. Not only is the current system fraying; it contributes to an insufficiency of global aggregate demand and to global instability. Every year developing countries set aside hundreds of billions of dollars to protect themselves against the costs of such instability, made so evident by the East Asia crisis. The commission has argued persuasively that this problem must be addressed if we are to have a robust global recovery. Recent statements from the BRIC nations (Brazil, Russia, India and China), expressing their concerns about the dollar reserve system, have added immediacy to the commission’s recommendation. This is an old idea–Keynes argued strongly for the creation of a global reserve currency more than sixty years ago–whose time has come. Those who would like us to go back to the world as it was before the crisis will find some of the questions being asked at the UN summit uncomfortable. They would be happier with a few harsh words for the offshore islands, a few cosmetic reforms to banking regulation, a few lectures about hedge funds (which, like offshore banking centers, were not at the center of this crisis), a new name and a couple of new members for the Financial Stability Forum–and then for us to move on. Many developing countries will be less content to accept these “reforms” as going to the heart of the matter. As developed countries struggle to ensure a quick recovery, they need to think of the effects of their actions on developing countries. It is time to begin the restructuring of our global economic and financial system in ways that ensure that the fruits of prosperity are more widely shared and that the system is more stable. This task will not be accomplished overnight. But it is a task that must be begun, now.